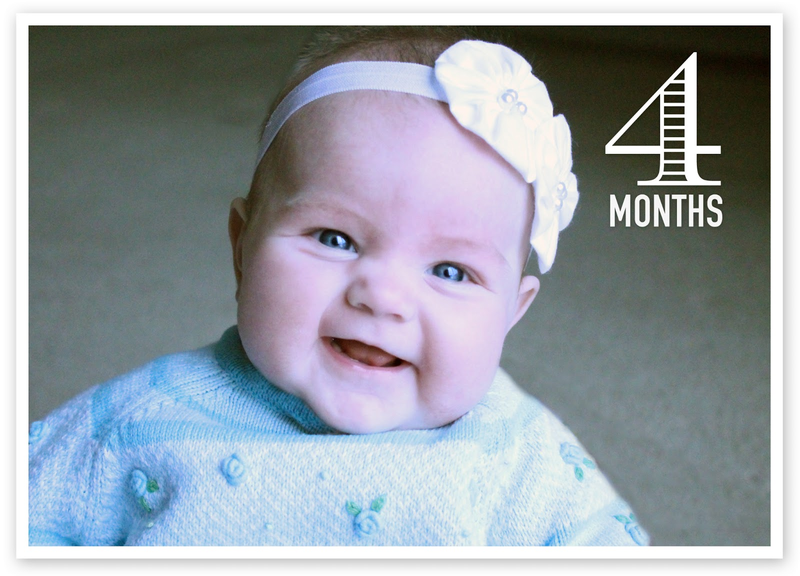 Our sweet little Lills is 4 months old! She now weighs 13 lbs. 14 oz. which is right at the 50 percentile. 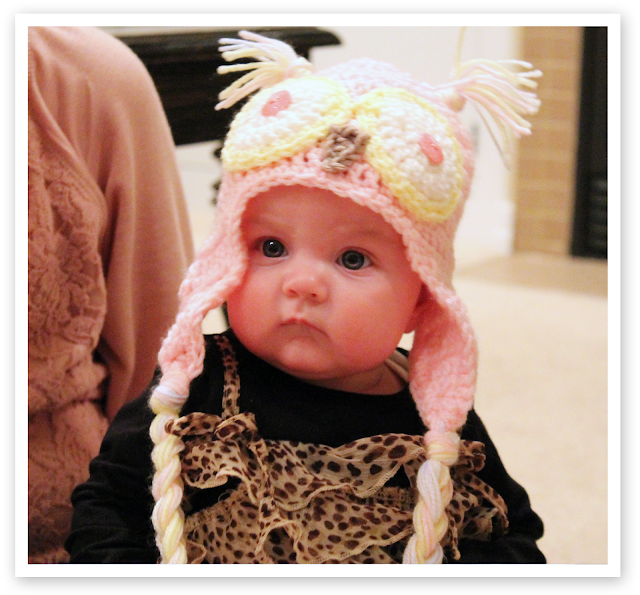 Her head size and height are also right at the 50 percentile so she is a perfectly proportioned little girl! She loves to smile and giggle and always seems so happy...except when she's hungry...haha! Her legs are getting really strong and she loves to practice standing. She also loves to watch Bryson play while she sits in her Bumbo. We are on schedule to finalize the adoption and have Lilly blessed & sealed to us in two months. We are so excited! By law you have to wait six months after placement to finalize any adoption in Utah. This is to assure the baby is being well cared for, that you've been able to bond, that all of the baby's needs are being met, etc. We've had two of our three supervisory visits by our case worker and have met with our adoption attorney and so far everything's a go! We just love her to pieces and can't wait to make her a part of our eternal family! The doctor gave us the green light to start Lilly on solids, so the other night we gave it a go. We started with rice cereal and then gave sweet potatoes a whirl (the video has them reversed). As you can see in the video we enjoyed the whole experience a lot more than Lilly did...the poor thing. You can watch how Bryson's first attempt went here.